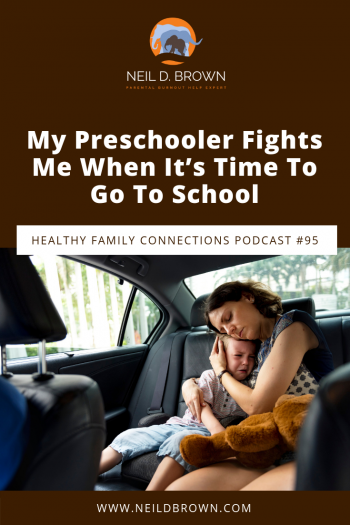 How do you get a preschooler with separation anxiety out of the car and into the classroom? Last week I answered a question from Patti about her 16-year-old with a childhood history of GAD. I am a preschool teacher and as we often deal with separation anxiety, I am wondering what would you have done with a child who had such terrible separation anxiety (as you said the adults were working way too hard). The tricky fact of life is that people do have to get on with life and get to work. They don't have time to mess with kids who aren't ready to make the decision on their own. It is never easy and I often find myself in the position of pulling the child away from their parent to get them in the door. Thanks for your follow-up question, Patti. As I said last week, needing two teachers and a principal to get a 6-year-old out of the car and in the classroom is way too much power for a child. I was getting started on organizing my thoughts for this podcast when it occurred to me to contact my colleague Joe Newman. I first contacted Joe after reading his book, Raising Lions, which I thought was terrific. In Joe, I found a colleague who shared my belief that our child and teen development culture had been co-opted by insurance companies and children were being diagnosed with ailments rather than being understood and helped. I sent Joe an email and 20 minutes later we were having a conversation about Patti’s question. So, I’d like you all to know that this podcast is supported and informed by my conversation with Joe. You can learn more about his excellent work by going to his website. There are several reasons that the school getting involved to get a child through the door is a bad idea. If school personnel can do it, a parent can do it. It’s really the parent who needs to do their emotional work; doing something their child doesn’t like. Children are expressing themselves the way they know how. 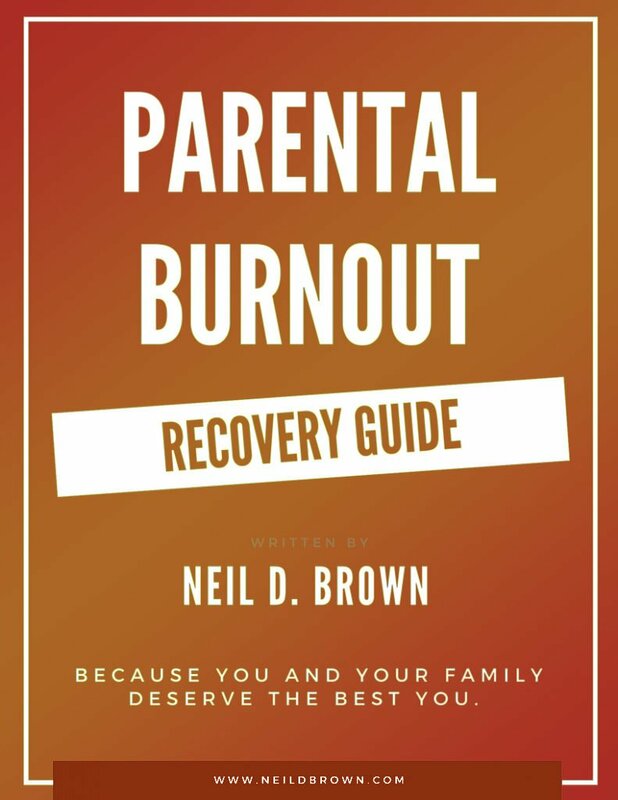 Parents need to establish their reliability to their children. If the parent says they are going to school, and then they equivocate based on the child’s reaction, they are not being reliable and children need reliable adults in their lives. If parents enter into a control battle with their child at an early age, that pattern of child and then teen resistance will plague their relationship and impair their child’s development. I’ve written and spoken about the powerful undermining impact of control battles, and they can start early and come to be a standard feature of a relationship. Many parents will say that not supporting a child’s feelings is abusive and forcing them to do something they aren’t emotionally ready for is bad for their emotional development. If they are being manipulative that’s one thing, but if it’s their real feeling, it’s another. How do we know if they are being manipulative or their real feelings are driving their behavior? Joe points out that we may never know exactly what their motivations are. What we do know is that they see it as in their best interest to fight for what they want. And if the bottom line is they are going to school, one way or another, it’s best to show them that fighting won’t change anything. And finally, we live in a culture that has a medical name for everything and if it has a medical name, it’s a disease or a pathology. So now my child has the disease of separation anxiety. Why can’t it be something simple and reasonable? My child is upset because I have to leave. When we get worried about our children’s feelings and we see their feelings as a disorder, then we are pathologizing them.Click To Tweet We are signaling that there is something wrong with them; that having anxiety means there is something wrong rather than simply validating their feelings. When parents equivocate, think about what’s going on at emotional and relational levels here. The child gets anxious or upset about a transition. Next, the parent gets anxious that the child is anxious. Of course, the child gets anxious that the parent is anxious. You can see what’s going on here. An emotional climate of anxiety and insecurity is now the norm, and that’s miserable for parents and destructive to child development. At the end of the day, we need confident empowered parents who will validate a child’s feelings and move forward with reassurance to raise confident empowered kids. I thank Joe Newman for his contribution. If you’ve got a preschooler or an elementary aged child or work with that age group, I strongly recommend his book Raising Lions. To see what Joe’s up to, check out raisinglions.com. Word of the Healthy Family Connections Podcast is growing and the number of listens and listeners each week has grown enormously. But the number of podcast reviews doesn’t reflect that. So do me a huge favor and post a brief review for me on iTunes. It would mean a lot to me. And please remember to take care of yourselves. You Need It, You Deserve It, You’re Worth It. Bye for now. Neil, thank you for making all of this available to the world. I follow you most weeks, as I make my way through a masters in counselling psychology program. So much of what you talk about resonates completely with me. Today’s talk, “How do you get a preschooler with separation anxiety out of the car and into the classroom?” left me with a gap. Why wait for the meltdown? I didn’t hear you suggest that in calm and contented times, have a chat about what happens when….help children to remember and set strategies together and make it funny. Help the child to work through the worst case scenario and come out the other side more tuned into feelings and emotions. Manipulation is still a strategy and there are real feelings around the act. We are at our best when we are solving problems in clear thinking/feeling conditions. Let’s set the conditions for success, all day long and be open to clarifying conversations. Modelling the change we want to see, right? Thanks for sharing your thoughts on this with us, Elizabeth. Your advice is excellent. It’s best to set things up for success and your ideas for doing that are great. I particularly like the idea of talking through a worst case scenario and having a child see themselves coming out the other side more tuned into their feelings and emotions. In this way, we prepare our children to understand themselves, understand their emotions and how to deal with them. It empowers them. And yes, helping children process their emotions and experiences is something we do with them on a regular basis. And yet, when a very young child strongly resists getting out of a car, a parent needs to firmly, authoritatively, positively and reassuringly simply bring them into the school. When they don’t it reflects the parent’s insecurity about whether they are doing the right thing or not. It reflects an issue with the parent.